Acrylic, Dichroic film, and Steel. Installed 2017. Learn More about this piece at the artist's website HERE. Clear Acrylic, White Acrylic, and Dichroic Film. Installed late July 2018. 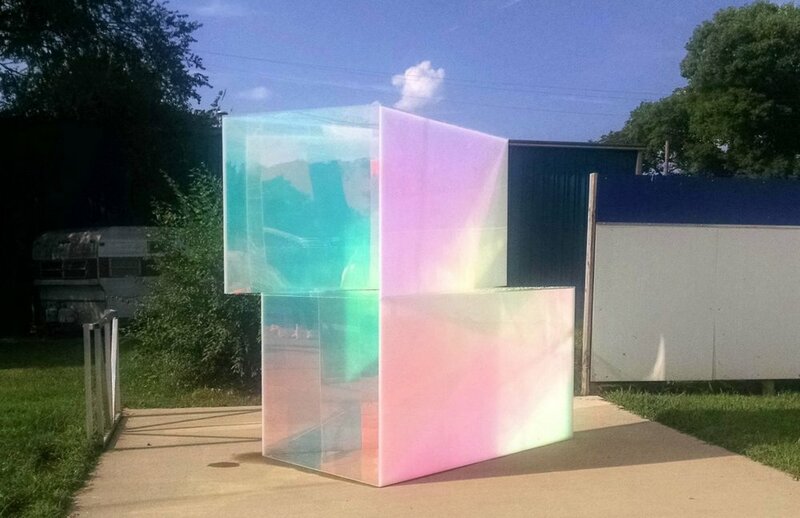 “Best Outdoor Sculpture” 2018. Find write-up HERE. NOTE: Unfortunately this piece was irreparably damaged late November 2018 and is no longer viewable. Mural by RONE. Painted 2014. See this piece freshly painted in his digital collection HERE. 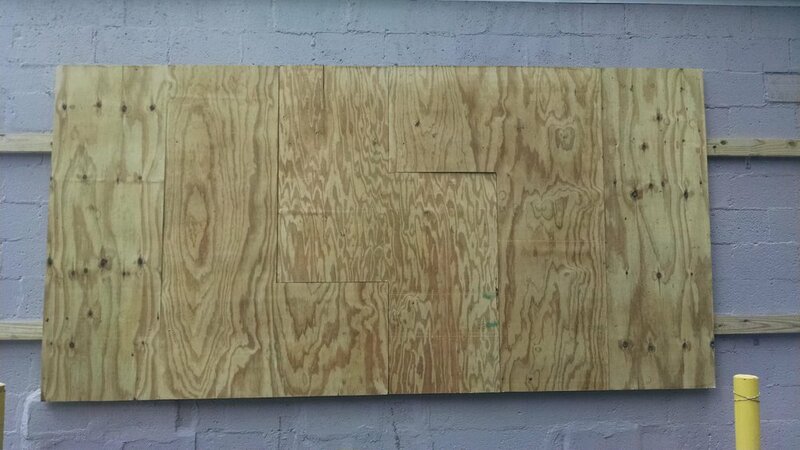 Wheatpasted graphics on plywood. Political viewpoints encouraged. The underlayer for the images is a series of 3/4" pressure treated plywood panels cut into tetris shapes in reference to the design motif for the building. Hanging on cleats to allow for modularity and interchangeability, the panelized substrate can change with the graphics applied on them.